Daniel Helfgot’s credits include well over 200 productions of over 100 operas, operettas and zarzuelas from the Baroque to the contemporary, including several world premieres. His international credits include shows in Argentina (both at the Teatro Colón, Buenos Aires and the Teatro Argentino, La Plata), Albania (National Opera), Austria, Canada, Costa Rica (Opera Nacional), Finland, Germany, Mexico (Bellas Artes), and Sweden. In the US he has directed for such companies as Baltimore; Billings (Montana), Festival Opera (California), Chattanooga, Eugene, Knoxville, Memphis, Orlando, Shreveport, Pennsylvania Festival, Sacramento, Spring Opera and Western Opera Theater of San Francisco, Utah Opera, Utah Festival Opera, Virginia Opera, etc. 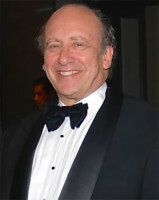 From 1982 to 2000 Mr. Helfgot was the Resident Director and Director of Production for Opera San José where he created 60 productions defining the company’s artistic output, established all its production departments and led the design process for the renovation of its performing venues, the Montgomery and the California Theaters of San José. From 2995 to 2005, he produced and directed most of the main repertoire of zarzuelas for the Zarzuela Festival in Napa, CA and since 2006 he has directed for every season of the Utah’s Opera Festival. He was also Producer and Director for the Pennsylvania Opera Theater in Pittsburgh, PA. And in Argentina, he was Production Director and Artistic Coordinator for the Opera, Ballet and Symphony seasons at the Teatro Argentino and directed the Project for the Design and Development of the Center for Performing Arts in La Plata, where he also founded the Teatro Musical de Cámara and the Festival Musical de Noviembre, and was Resident Assistant Director and Rehearsals Coordinator for the Teatro Colón in Buenos Aires. His directorial work also includes tango and cabaret shows and he has written and perform scripts and narrations for different stage genres. Helfgot produced several opera radio programs and directed opera broadcasts of his own operatic productions for television in Argentina and an award winning production for PBS in the US. As a journalist, also in Argentina, he was the editor of the Sunday’s edition of the daily El Día where he wrote extensively about music and the arts and also founded and directed the by-monthly Ritmo, a magazine dedicated to the performing arts and architecture. Helfgot translates opera libretti from Italian, Spanish, German and French for English and Spanish supertitles and writes operatic dialogue versions for the English, Spanish and German repertoire. He is also the author of the libretto for the opera The Tale of the Nutcracker with music by Craig Bohmler premiered in 1999. He has received the Opera Director of the Year 2009 award from the Classical Singer Magazine, an award from the Arts Council Silicon Valley and has been honored with the Koret Israel Prize. Mr. Helfgot is the author of The Third Line: The Opera Performer as Interpreter, a definitive book on the training of singers, originally published by Schirmer Books followed by a revised edition titled The Third Line: The Singer as Interpreter, a book widely used by individuals, universities and conservatories. His teaching experience includes a guest professorship at the Musikhochschule of the Vienna University, Austria and the leadership of the Vocal and Vocal Accompanying Programs at the Music Academy of the West, Santa Barbara, California. He is constantly in demand throughout US campuses, with guest appearances at the National Academy of the Arts in Taipei, Taiwan; the Instituto Superior de Arte, Teatro Colón, Argentina; the Academy of Music in Åland, Finland, etc. Helfgot maintains a private coaching studio in San José, CA, is an adviser and lecturer for OperaNeo of San Diego, CA. and serves on the advisory boards of OperaWorks, Los Angeles, CA. and the San José Chamber Orchestra. Still directing opera - the non plus ultra of the arts. It is the only way: to evolve and to change. Come and see my work, from Albania to Amarillo, Austria to Argentina, and spots in between. 1st, a question: Are you nuts? 2nd: if your are, fight for a city were ART is a must, a responsibility, and a reason for civic pride. Locally: barely, but with a superb San Jos? Chamber Orchestra and other brave, creative, and quixotic organizations. Nationally: struggling - nobody has $$. Beyond: The flame still burns bright.